•	Distance to beach, restaurants, shops and bars – You are there! •	Distance to ‘Old Town’ – about 45 minutes’ walk. 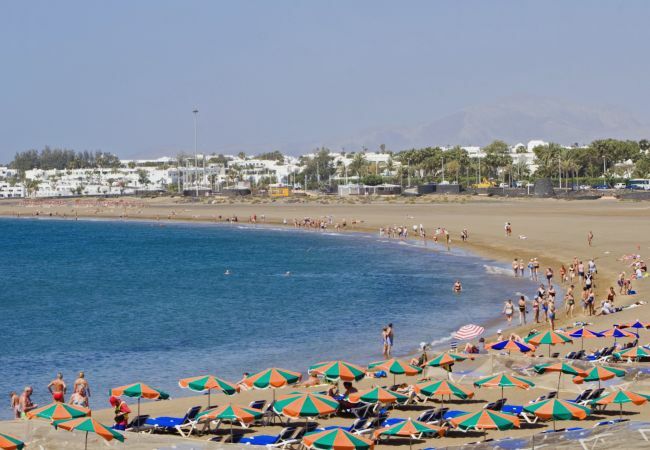 Costa Luz Beach apartments are located in a prime beachside position in central Puerto del Carmen. You literally walk from the gardens, straight onto the sandy beach – there are no roads to cross. 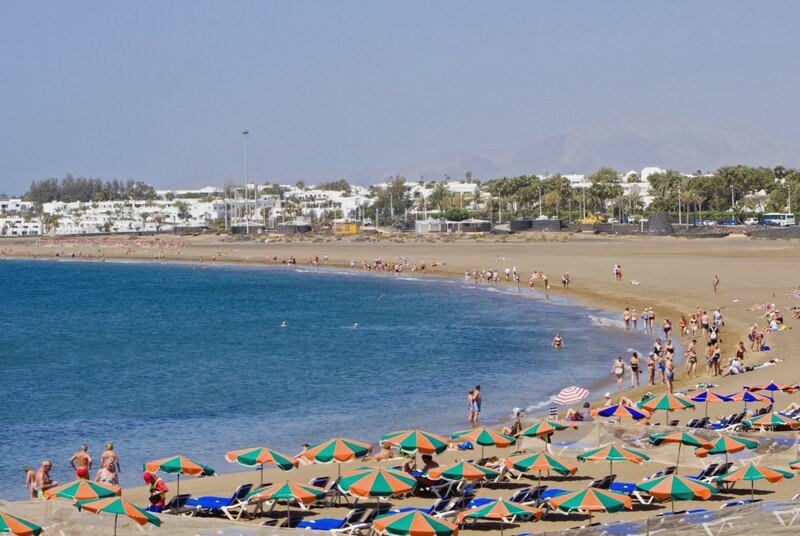 The beach is a clean sandy beach where there are plenty of sun loungers and umbrellas to rent. The waters here are crystal clear and safe for swimming. 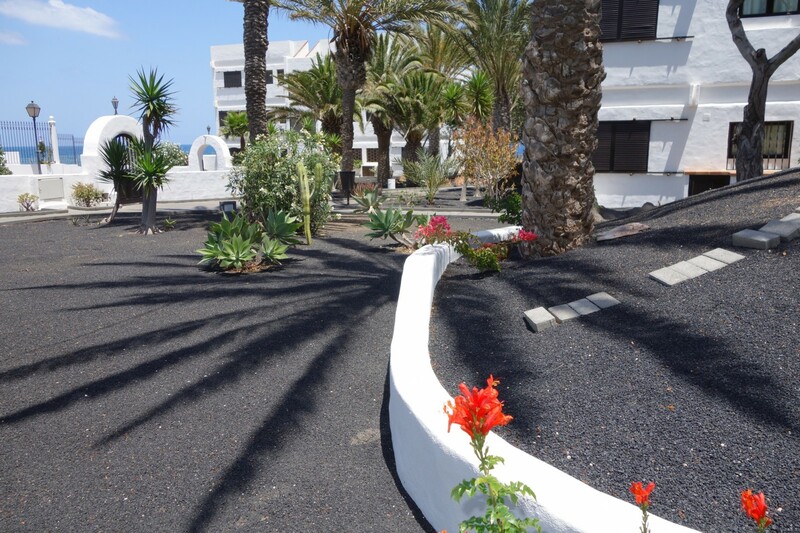 The main promenade runs behind the complex, so you have direct access to shops, restaurants and all other amenities of Puerto del Carmen. Although Costa Luz Beach apartments are in a prime central location, the surroundings are quiet and tranquil, giving you the best of both worlds. You can see the exact location on our Google location map. 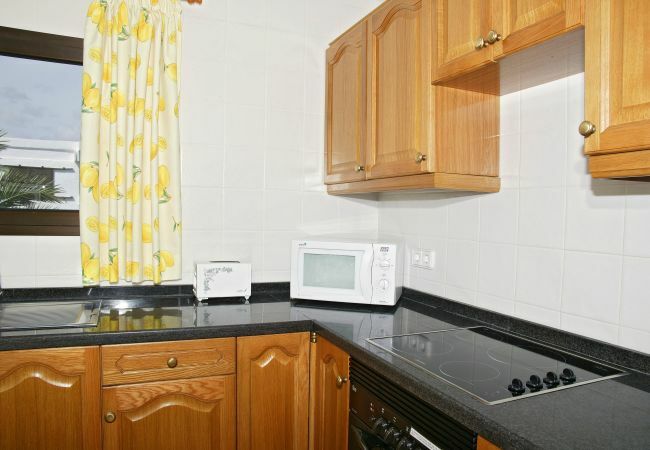 •	Fantastic beachside location with direct access to the beach. •	Central location with direct access to beach front promenade to all amenities. •	Sheltered solarium with plenty of sun loungers and parasols. •	Lovely gardens with chill-out alcoves. 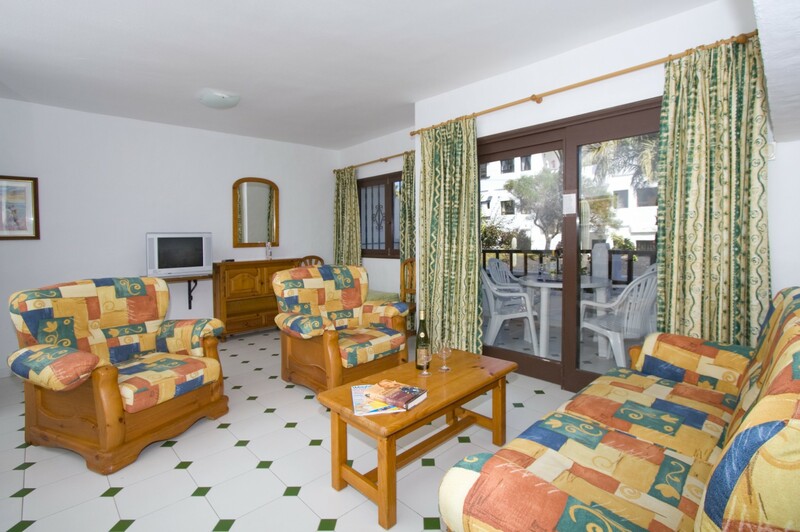 The apartments at Costa Luz Beach are in small blocks of six apartments, which are all south-facing and looking towards the sea. 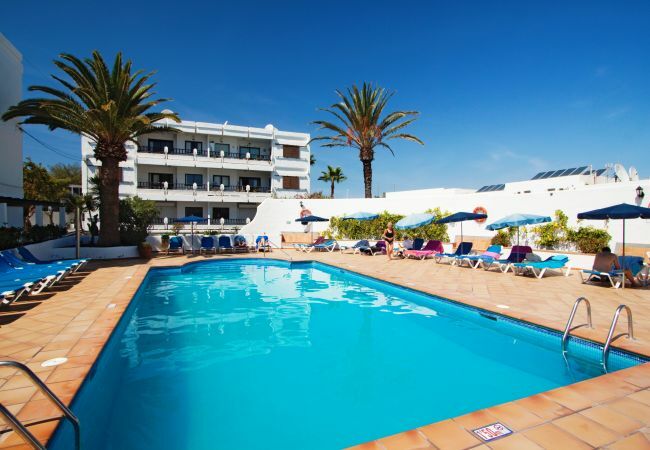 The complex has a large electrically heated pool set within a sheltered solarium with plenty of sun loungers and parasols. The pool has roman steps for easy access and the swimming pool area is walled making the pool area a real sun trap. 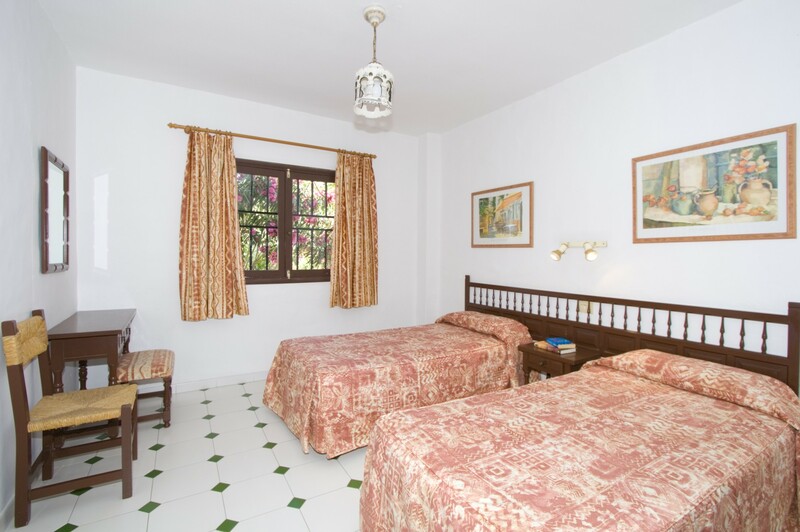 The apartments are dotted around the extensive and well-kept mature gardens, where there are further little alcoves with more sunbeds if you wish to chill out on your own. All of these are connected by little paths running throughout the gardens, all the way down to our direct private beach access. As you come off the beach there is a fresh water shower to rinse off. 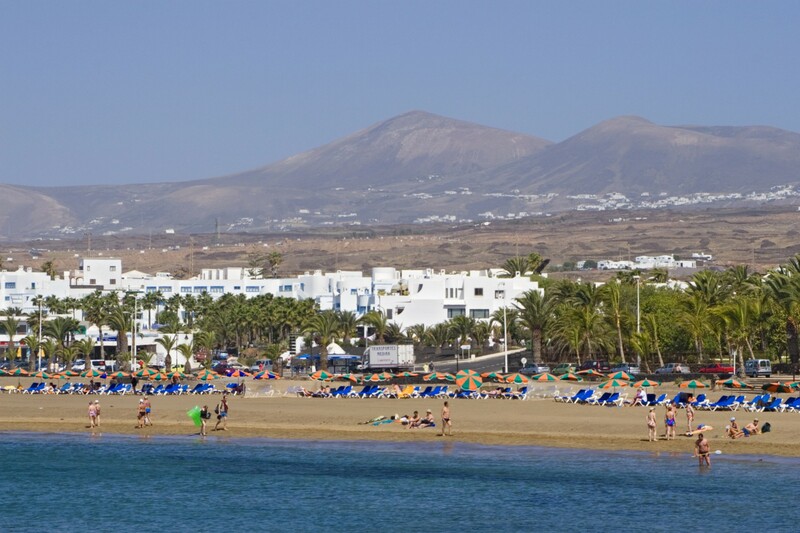 Costa Luz Beach is very popular and exclusive due to its fantastic beachside location. As you will see from our website, we have four different categories of apartments ranging from 1 bedroom 1 bathroom apartments to 2 bedroom 2 bathroom Superior beachfront apartments. All the apartments are basically the same size, but vary a little in spec. 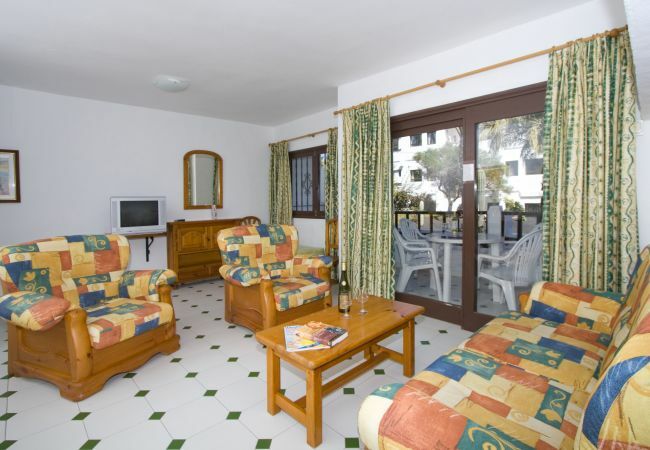 The Superior apartments have been modernised and are mostly nearer the beach. The one bedroom apartments obviously only have 1 bedroom. Our 1 bedroom 1 bathroom apartments have a spacious living room with a sofa and armchairs, leading onto a spacious balcony with outside table and chairs. All balconies are south-facing. The apartments have a dining area with a table that seats four. All apartments have complimentary English TV. 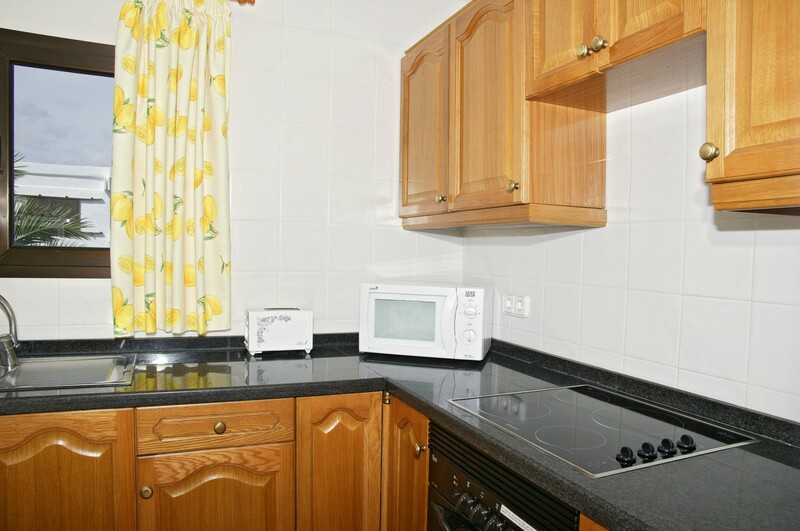 The apartments are fully set up for self-catering with fully fitted kitchens, including an oven, four ring hob, microwave, toaster, kettle and all necessary kitchen equipment. The bathrooms have a bath with in-bath shower, bidet, sink and W.C. Beds can be made as double or twin and all bathroom towels and bed linen are provided. Maid service is included and there is a towel change once during the week and linen change once a week. Iron and ironing board is supplied. There is a safe for rent. Please note that, although we do take requests for specific apartments or locations, we can never guarantee any specific apartment or location. •	Balance due 10 weeks before departure. 1 Bedroom 1 Bathroom Apartment is located in Block 3. You can see this below in the complex plan. 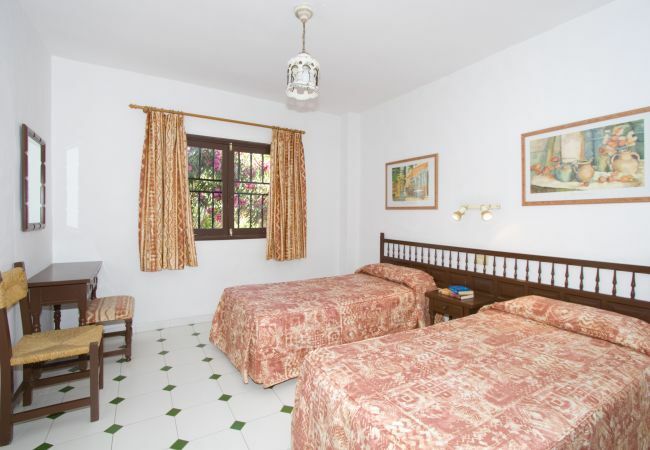 - 1 TV, TV Satellite (Languages: English), garden, garden furniture, fenced garden, internet (Wi-Fi), balcony, 70 m² property, 10,000 m² plot, communal heated swimming pool (dimensions 11x5.9, max depth 6.23 ft, min depth 3.61 ft), Open-air parking. Location, service was excellent, supermarket and pubs just across the road and short walk about 5 mins to Main Street for shops restaurants. Taxi rank close by and very cheap. At this time of year I felt it was cool, so maybe some form of heating for cooler weather and air conditioning for very hot conditions. Thank you for your feedback, I'm glad you liked the location and the service was excellent. You can hire a heater from receptionwhen it is warmer you can higher a fan from reception. We were very happy with our holiday. Reception very helpful any issue resolved promptly. Thank you for your positive feedback, we hope to welcome you back to Ocean Club Holidays soon. Friendly and efficient staff, good location, good price.